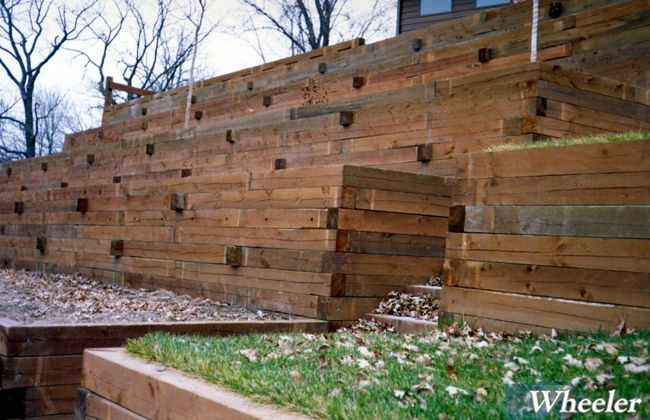 Treated timber is the basis for many retaining wall designs. They incorporate common materials with simple construction techniques. Stacked, square timbers tied back with deadmen perform similarly to many mechanically stabilized earth systems. 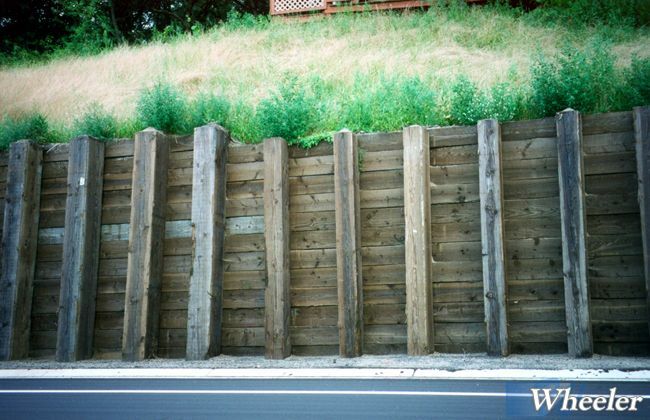 The lightweight timbers provide soft aesthetics without compromising durability. 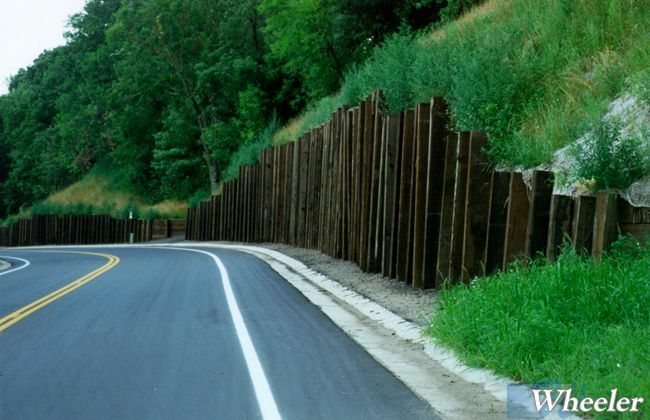 Walls built with vertical posts and horizontal backing plank are ideal for conditions that do not allow over-excavation behind the wall. 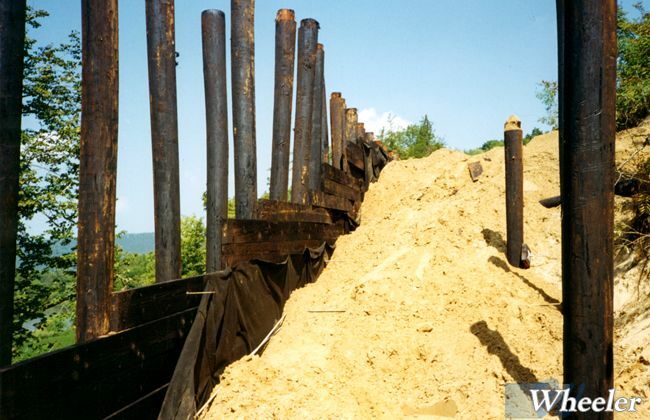 They are constructed by either drilling holes and setting the posts or driving piling (timber or steel) and then adding the backing plank. This is done with little disturbance behind the walls or to adjacent structures, including those that may be above the wall.